First, Jack places tokens representing his targets on the special murder sites but some of them are bluffs. Next, the police place their men but some of these are bluffs. The targets are then revealed (bluffs are removed) and Jack can choose to strike immediately or wait; if he waits, the targets wander the streets but Jack gets to reveal police tokens to find and remove police bluffs. However, Jack can only wait so long and must strike soon. As soon as he murders a victim, the clock is running – he starts at the murder location and must make it back to his hideout before dawn (15 turns) and without getting caught by the police who start moving as soon as the murder is announced. An extra twist is that Jack returns to the same hideout after each murder so the police can start to deducting this location as the game progresses. 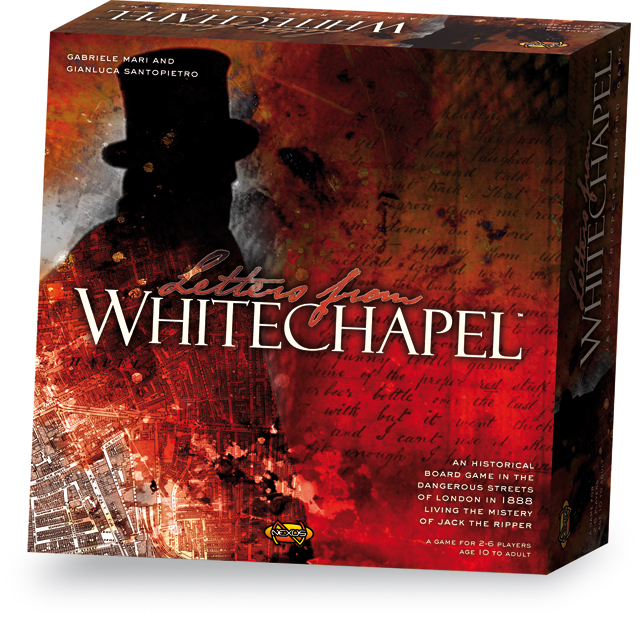 The designers of LFW, designed one of the Scotland Yard games as well as Garibaldi. For me that’s good and bad as both were interesting but Garibaldi didn’t deliver the gameplay I had hoped. However, the rules for LFW appear very promising indeed and it’s one I am really looking forwards to. 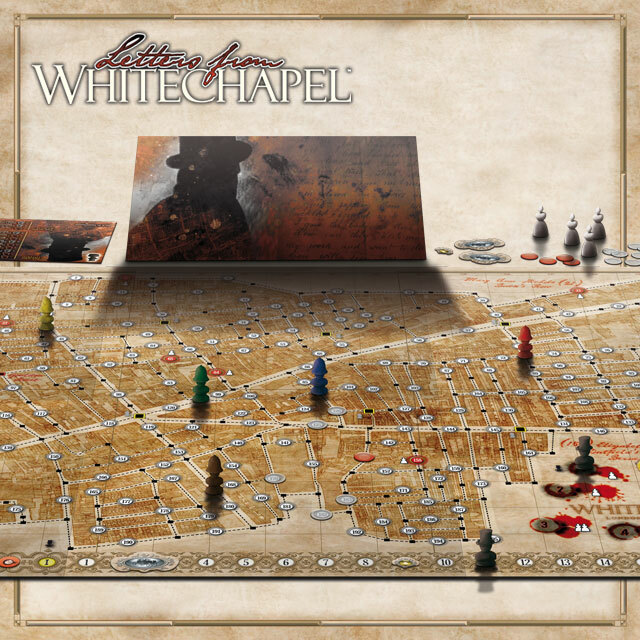 Letters From Whitechapel didn’t make it to Spiel 2010 (having had a prototype of show at Spiel 2009) but I’ve been told by the publisher it will be released in February. 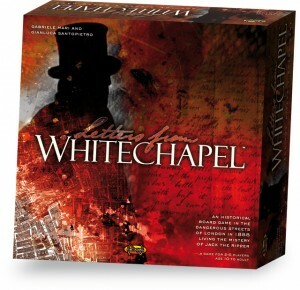 This entry was posted on Monday, January 24th, 2011 at 12:17 pm	and is filed under Board Games, Essen Spiel 10, Letters From Whitechapel, On the Radar. You can follow any responses to this entry through the RSS 2.0 feed. You can leave a response, or trackback from your own site.